One of my very favorite parts of our extremely popular class, One Day With The Creator, is Segment 14, Gods Foreknowledge and Man’s Free Will. I vividly remember that during the filming of the class I almost burst into tears the moment I finished that session. The privilege to know and teach that incredibly powerful material overwhelmed me. If you do not yet have your copy of the class, please get it. If you do not absolutely LOVE it, I’ll buy you some ice cream. In the USA, the Fourth of July signifies FREEDOM. Today, all citizens with any spiritual awareness realize that our God-given national freedoms are steadily being eroded by more and more ungodly laws and regulations. 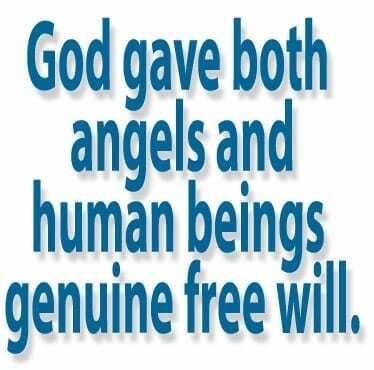 Thank God there is one freedom that no one can take from us, and that is free will. No matter what is happening to you, you are free to choose how you respond to it. A classic example is the well-known Christian minister who was imprisoned by the Nazis in a cell so small that he could take only five steps in any direction. How did he respond? He determined that he would take no more than four, thus refusing to allow circumstances to dictate his choices. Of course, when he got out he turned a lot. Most Christians are taught one or more of the following faith-wrecking fables: God is in control of all things; everything that happens is His will; all tragedy somehow fits into His “Master Plan;” Satan can do nothing without God’s permission; and that God “allows” tragedy and suffering. Don’t those just make you gag? If so, you’re in good company, because God and the Lord Jesus can’t stomach them either. In contrast, God tells us in His Word that the truth is that, despite the external factors you cannot control, you are in control of your own thoughts, words, and deeds; a very small percentage of what is happening on earth is God’s will; He and the Lord Jesus hate tragedy and weep with us; Satan does not need God’s permission to do evil; and God allows nothing bad that He can stop. 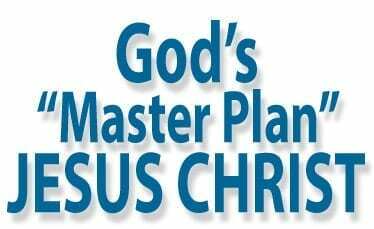 God does have a “Master Plan”—JESUS CHRIST. And the Master showed us God’s Plan by interrupting Satan’s sickening status quo at every opportunity. In John 9, when he came upon the man born blind, he brushed off the disciples’ foolish question and showed them (and us) what God thinks of tragedy such as blindness. HE HEALED THE MAN! That was a “preview of coming attractions” in the future when Jesus will heal all believers once and for all by raising them to everlasting life in new bodies. One key to Satan’s promotion of the above lies, all of which make God look bad, is the corresponding lie that God has “absolute foreknowledge,” in the pagan, Hellenistic, Platonic, Augustinian sense that in the past (“in the beginning”), God saw all future human history as a present reality. Calvinists twist this lie into the grotesque notion that God not only saw everything that would happen, He willed it. Either of these fallacies makes God ultimately responsible for evil, tragedy, and suffering, and they have turned countless people away from our loving heavenly Father. How many people have asked things like: “Do you mean to tell me that God knew all along that: (a) Lucifer would rebel against Him and become pure evil; (b) Adam would wreak havoc on humanity; (c) wicked people would run rampant on earth; (d) my precious daughter would be kidnapped and murdered; (e) my wife would commit suicide because of that; (f) I would be falsely accused of my child’s murder and given a life sentence?” And 99% of Christians would answer, “Well, yeah, but you should still love Him.” Are you kidding?! No amount of theological doubletalk will ever get God off the hook as being ultimately responsible for those tragedies. Which of those two gods do you think will be more popular with folks? Do you think that those of us who understand these glorious truths should perhaps pass the Word? Do not hear me saying that God does not have foreknowledge, for He certainly does. So do you. Say your child is eight years old. I set a plate of broccoli and a plate of brownies in front of him and ask you which he will choose. Hello-o? That is foreknowledge, and it is based upon your actually very limited knowledge of your child’s past and present. Multiply that by a gazillion and you have a picture of God’s foreknowledge, which is based upon His totally comprehensive knowledge of every detail of both the past and the present. Coupled with His own purposes and goals, that is what allows Him to make two kinds of prophecies/predictions/promises: unconditional (e.g., the Abrahamic Covenant) and conditional (e.g., the Mosaic Covenant). When He makes an unconditional prophecy, He knows He can pull it off without usurping anyone’s free will. How he does so is beyond our comprehension. Just in case you are thinking that this idea makes God smaller, consider this scenario: I sit down to play chess with the world champion. Who will win? No question. Will he crush me because he knows ahead of time the moves I will make, or will he crush me because his level of expertise is so far beyond mine that it doesn’t matter what moves I make, he will incorporate them into a winning strategy? Which world champion is more impressive, the bored guy absentmindedly watching me make my moves, or the intensely focused guy? And which God is a more impressive God? In God Of The Possible, Greg Boyd writes: “It takes a greater God to steer a world of free agents than it does to steer a world populated with automatons.” Amen. 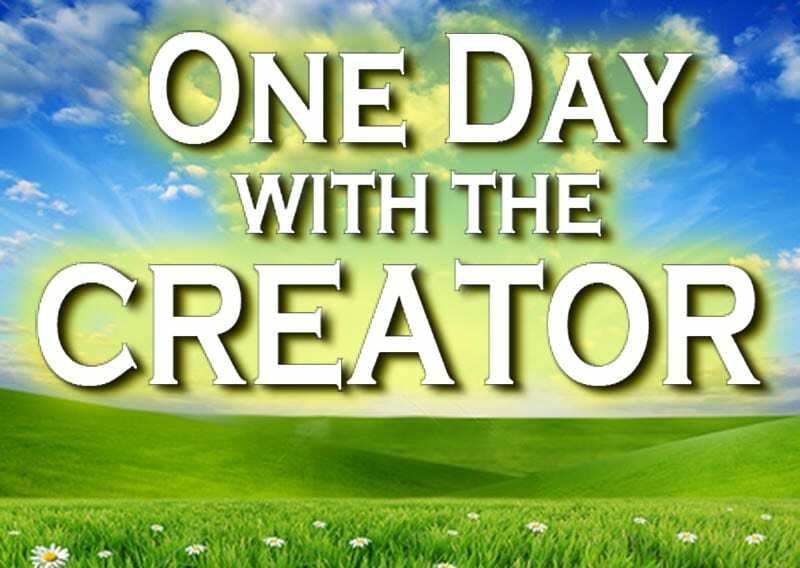 If you are a truth seeker who wants the whole picture about this critical subject, One Day With The Creator is an excellent place to start. Our audio teaching, God’s Foreknowledge and Man’s Free Will, elaborates in detail. Boyd’s God Of The Possible and The God Who Risks, by John Sanders, are fabulous. Because of God’s self-revelation in Jesus Christ, we can be confident of our knowledge about God’s character and general purposes for our life. What we can hardly fathom, however, is the vast complexity of [fallen] creation, a creation that includes an untold number of human and spiritual free agents whose decisions affect much that comes to pass (p. 79). Behind every particular event in human history lies an impenetrably vast matrix of interlocking free decisions made by humans and angels. We experience life as largely arbitrary because we can’t fathom the causal chains that lie behind every particular event…The mystery of evil, therefore, is about an unfathomably complex and war-torn creation, not about God’s character and purposes in creation (p. 80). A recent development in science, chaos theory, helps illustrate the point God is making to Job [Boyd writes this near the end of a superb analysis of the book of Job, and is referring to God’s four-chapter discourse to Job in which He does not explain to Job why the bad things happened to him. Boyd fails to note what we do in DBG—that God could not reveal to Job the truth about the Devil]…Put in simplest terms, it has been demonstrated recently that the slightest variation in a sufficiently complex process at one point may cause remarkable variations in that process at another point. The flap of a butterfly wing in one part of the globe can be, under the right conditions, the decisive variable that brings about a hurricane in another part of the globe several months later (p. 96 and 7). By analogy, this insight may be applied to free decisions. Because love requires choice, humans and angels have the power to affect others for better or worse. Indeed, every decision we make affects other agents in some measure. Sometimes the short-term effects of our decisions are apparent…The long-term effects…are like ripples created by a rock thrown into a pond [The bigger the rock, good or bad, the more ripples it causes and the more far-reaching they are]…We might think of the overall state of the cosmos at any given moment as the total pattern of ripples made by a constant stream of rocks thrown into a pond. Each ripple interacts with other ripples, creating interference patterns…Each person influences history by using his or her morally responsible say-so, creating ripples that affect other agents (p. 97). From this it should be clear that to explain in any exhaustive sense why a particular event took place just the way it did, we would have to know the entire history of the universe…But we, of course, can never know more than an infinitesimally small fraction of these previous decisions, let alone why free agents chose the way they did. Add to this our own massive ignorance of most natural events in history—which also create their own ripples—combined with our ignorance of foundational physical and spiritual laws of the cosmos, and we begin to see why we experience life as mostly ambiguous and highly arbitrary (p. 98). But the point of the book of Job, and a lesson we can appropriate from chaos theory, is that this isn’t a mystery about God’s will or character; it’s a mystery about the vastness and complexity of creation. We experience life as arbitrary simply because we are finite. And when we try to arrogantly deny this finitude by ignoring all we don’t know about creation, we end up either indicting people (as Job’s friends did) or indicting God (as Job did). [Boyd misses the truth that Job did not “indict” God in the sense that he turned his heart away from him (see Job 1:22 and Chapter 6 of DBG).] What we learn from this profound book is that the reason that Job—as opposed to someone else—suffered as he did had nothing to do with his sinful character or God’s arbitrary character. Rather, Job’s suffering resulted from a confrontation in the heavenly realm between God and an adversary that no one in the context of the narrative knew anything about (p. 98). We don’t know and can’t know why particular harmful events unfold exactly as they do. What we can know, however, is why we can’t know; it’s not because God’s plan or character is mysterious but because we are finite humans in an incomprehensibly vast creation that is afflicted by the forces of chaos…And given this mystery, we must refrain from blaming each other or blaming God when misfortunes arise. Rather, following the example of Jesus, we must simply ask, “What can we do in response to the evil we encounter?” (p. 102). Western Christians…like Job’s friends…feel secure when we can bracket off the complexity and ambiguity and convince ourselves that the world unfolds according to a divine blueprint. We assume that everything can be explained by appealing to God’s will or the wills of people. This theology works only so long as we can in fact bracket off reality. But when reality in all its unfathomable complexity and war-torn horror encroaches on us,…victims suffer and so does our theology. When we compromise what we do know (God revealed in Jesus Christ) because we forget what we don’t know (the complex creation)—when we make the mystery of evil a mystery about God rather than about God’s [fallen] creation—we tarnish God’s character and indict victims of the war (p. 105). A healthier perspective, one that honors God’s character revealed in Christ and refrains from indicting people, acknowledges ambiguity and warfare up front. We must with confidence anchor ourselves in what we can know—that God looks like Jesus…If we are going to blame anyone, the book of Job and Jesus would have it be Leviathan, Behemoth, hostile cosmic waters or (what comes to the same thing) the Devil. Though we can’t know the “why” of any particular instance of suffering, we can and must know that our whole environment is under siege by forces that hate God and all that is good. By our [man’s] own rebellion, we are caught in a cosmic crossfire, and we suffer accordingly. (p. 105). True freedom is internal, and comes only by way of the Lord Jesus Christ. Our risen Savior has set us free from the penalty of sin, and he dwells within us to help us conquer the power of sin. “If the Son therefore makes you free, you are free indeed” (John 8:36). The good news is that God is in control—of your future—as He has guaranteed that Jesus will raise you to everlasting life.